The school says it reserves its right to remove students who have LGBT parents. 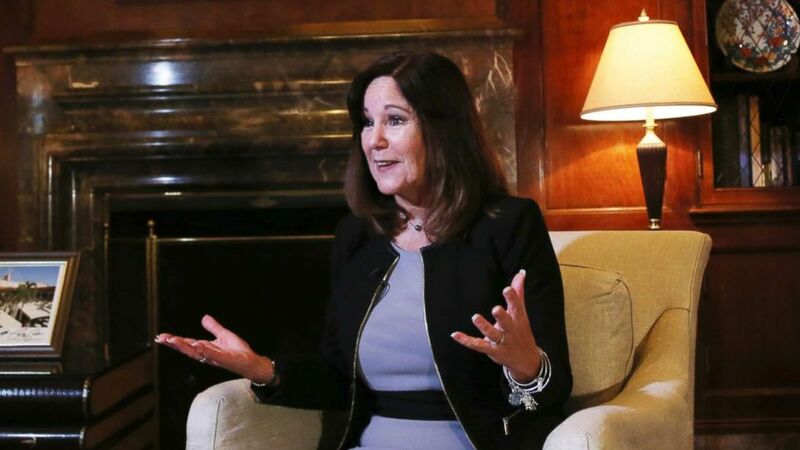 The White House has announced that Second Lady Karen Pence will teach art classes twice a week at a Northern Virginia’s Immanuel Christian Elementary School through the end of May. But the announcement has been drawn into focus the school’s policies seen as hostile to the LGBT community, including a ban on any students and teachers, and a policy that reserves the right to remove students who are children of LGBT parents. According to a copy of the school’s employment application, aspiring faculty must pledge they will “strive to live a personal life of moral purity,” and notes that should include an understanding that “the term “marriage” has only one meaning; the uniting of one man and one woman in a single, exclusive covenant union." (Koji Sasahara/AP, FILE) Karen Pence speaks during an interview with the Associated Press in Tokyo, Nov. 13, 2018. A separate agreement required for parents to sign notes that the school reserves its right to “refuse admission to an applicant or to discontinue enrollment of a student” if conduct in the home is “in opposition to… a biblical lifestyle" – which it says includes “participating in, supporting, or condoning sexual immorality, homosexual activity or bi-sexual activity. Vice President Mike Pence faced similar scrutiny during the 2016 campaign for his past promotion of policies that were seen as hostile to the LGBT community. In the 1990s, Pence’s congressional campaign website included a statement that raised questions whether he advocated for “conversion therapies” for gay youths. “Resources should be directed toward those institutions which provide assistance to those seeking to change their sexual behavior,” the website said. But a spokesperson for Pence after the website comments surfaced said he was merely calling for federal funds to “be directed to groups that promoted safe sexual practices” and that he was not a proponent of conversion therapy. The Vice President's office did not immediately respond to ABC News' request for comment on the school's policies. The Second Lady's office in its announcement said that Karen Pence had previously taught art for 12 years at Immanuel Christian School, as well as 13 years at public and private schools in Indianapolis, Indiana.